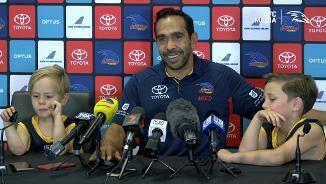 Eddie Betts is joined by sons Lewie and Billy as he addresses media ahead of his 300th AFL game against Gold Coast this Sunday. 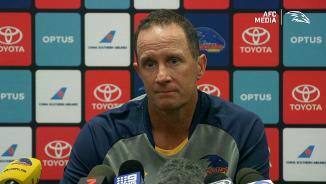 Crows Senior Coach Don Pyke speaks to the media ahead of the sides Round 4 clash with North Melbourne at Docklands Stadium. 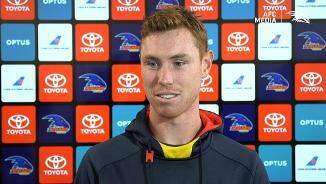 Crows forward Tom Lynch speaks to media ahead of our round 4 clash against the Kangaroos. 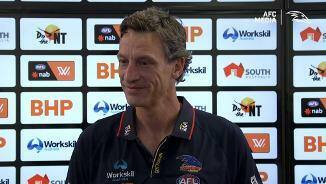 Crows Assistant Coach Ben Hart speaks to media. 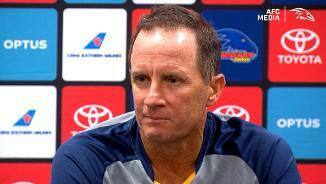 Senior Coach Don Pyke speaks to media before round 3 against Geelong. 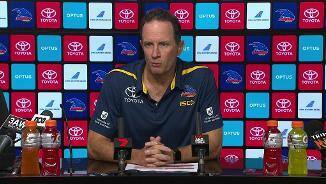 AFLW Coach Matthew Clarke speaks to media ahead of this Sundays Grand Final against Carlton. 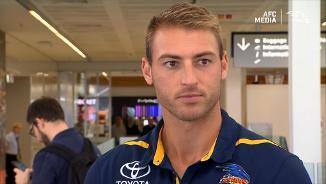 Daniel Talia speaks to media at Adelaide Airport before heading to Sydney for our round 2 clash against the Swans. 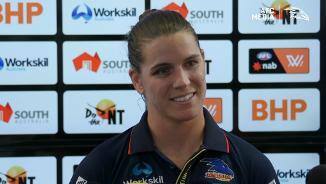 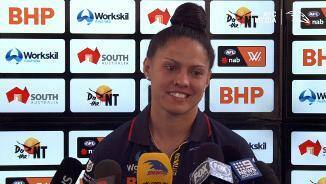 AFLW Co-captian Chelsea Randall speaks to media in the lead up to this Sundays Grand Final against Carlton. 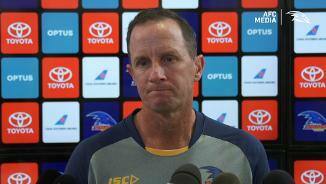 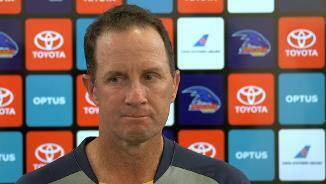 Don Pyke speaks to media ahead of our round 2 clash against Sydney this Friday night. 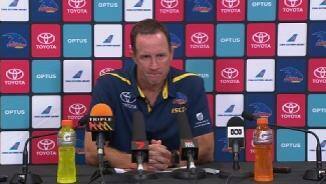 Stevie-Lee Thompson speaks to media in the lead up to this weekends Grand Final against Carlton. 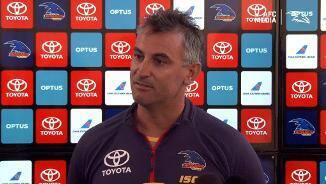 Scott Camporeale speaks to media in the lead up to our round 2 clash against Sydney. 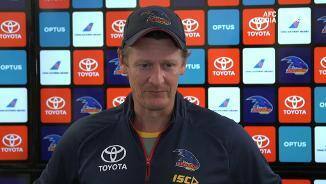 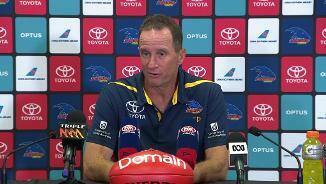 Crows Senior Coach Don Pyke speaks to the media ahead of our round one clash against the Hawks this Saturday. 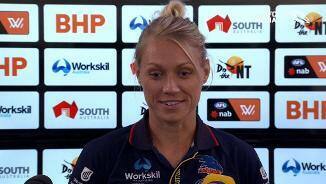 Erin Phillips speaks to media ahead of this weeks semi-final.